Power, passion and purpose are the corner stone of our work. We believe that these three words radiate within when spoken. We realize that each time we challenge women to live life with them in the forefront we are asking them to shift their lives in a new direction and live it with vigor, perseverance and optimism. We know it is no small order. When I sat down with the former Superior Court Judge Shirley Fulton, I had no doubt the road she had traveled would speak volumes and inspire others to live their lives with more power, passion and purpose. She had pursued a career that took her on the journey of success beyond most and battled an unexpected illness that held up a mirror for her to see the true beauty she radiates. Being the first black female superior court judge in North Carolina, she had made her mark. She had accomplished so much and won the respect of all of her superiors. So what would have such a successful person step down, move on and pursue yet another passion? Shirley Fulton talks about it in a candid interview with me. There are a few misconceptions about judges. Often times we think of them as emotionless human beings with a stern hand hammering down the gravel. But Shirley is quite the opposite. She’s passionate about life, has a huge caring heart and has a graceful presence. She shares her journey on the bench, the battle for her life and the moment she realized that there’s more than one purpose in life. 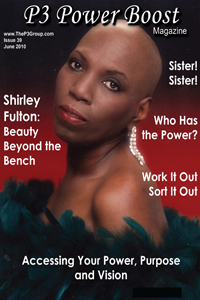 Sit back and enjoy this powerful interview with Shirley Fulton, our P3 Pearl for June, 2010. WOW! 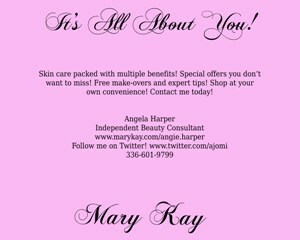 I got to know her personally then professionally! I have two words for her….Phenomenal Woman!!! “Now you understand Just why my head’s not bowed. the palm of my hand, The need of my care, ‘Cause I’m a woman Phenomenally. Phenomenal woman, That’s me. I have never heard her “toot” her own horn…but I am honored and humbled to have met her!